At her interactive dinner series, Asian in America, Chef Jenny Dorsey is making a pretty compelling case that it can. What counts as art is highly subjective, but high-end food increasingly resembles it. 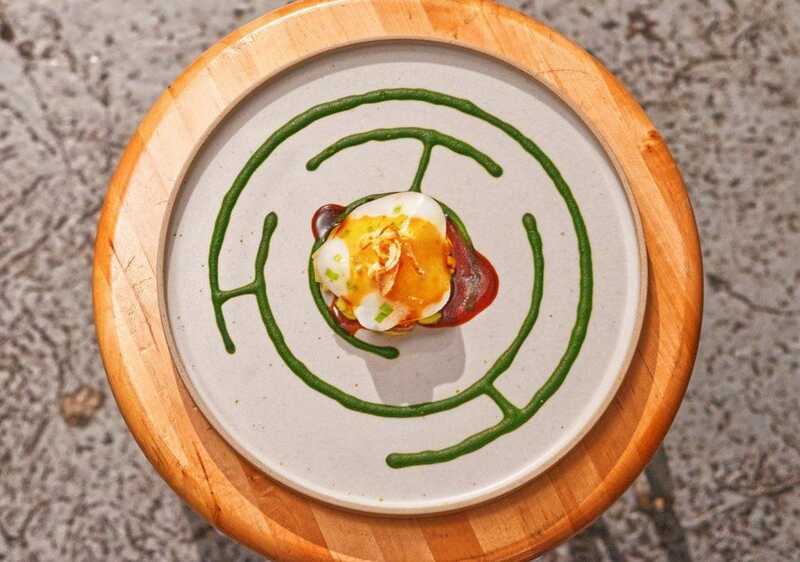 From Enrique Olvera’s iconic mole at Pujol to the out-of-body experience that is dining at Alinea and inhaling helium from an edible balloon, modern fine dining resembles dinner and a show more than a mere meal. Dorsey, whose diverse career has taken her everywhere from Columbia business school to Atera and Atelier Crenn, is highly aware of this. But while her food is objectively fantastic, Dorsey pushes the envelope through narrative. Asian in America incorporates spoken word poetry, animation, edible symbols and striking plating to invite you to attack uncomfortable questions like what American society expects of its Asian cooks in the same breath that Dorsey surprises your palate with a lamb-fat washed whiskey cocktail full of chiles and Sichuan peppercorns. To say that this combination of intellectual questions and unexpected flavors engenders lively conversation is to do her a disservice. Dorsey’sdiners, myself included, were abuzz for the whole experience. I sat at a table full of strangers in the gift shop of The Museum of Chinese in America, and by the end of the night, we were exchanging information, getting drinks together and making plans to talk again soon. 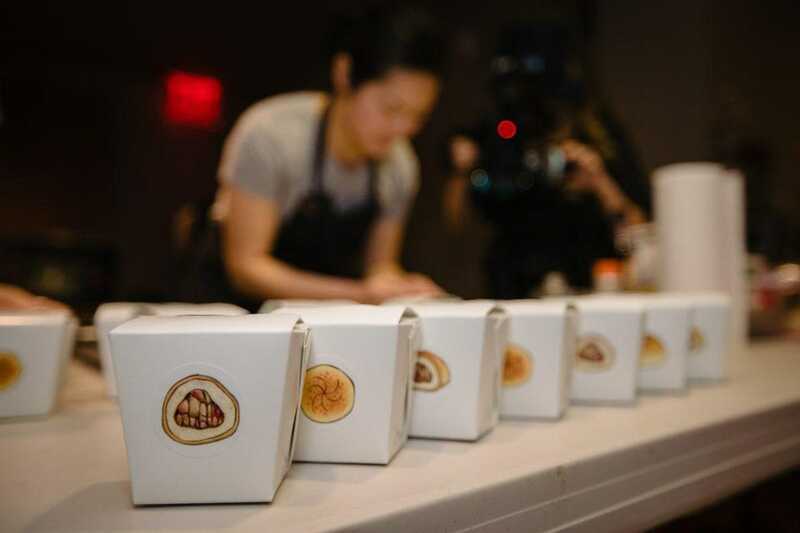 Asian in America is the kind of modern fine dining meal that immerses you in itself, distracting you from the events of your day and strategically using a combination of technology, food, and poetry to spark the aforementioned conversation amongst the diners. That’s pretty refreshing, given how tech often keeps us distracted and disconnected from both our food and each other. At the beginning of the evening, Dorsey passed out little pork buns to guests and encouraged us to download an app to our phones as we sipped cocktails her husband prepared. You’re familiar with QR codes? How about scanning a picture of a pork bun in the midst of eating one? The Chinese takeout boxes Dorsey served the buns in had stickers on them, and upon taking a photo of one, you triggered a small, poetic preview of what was to come, with information about how the filling inside the buns was comprised of pork off-cuts Jenny had first combined as homemade dog food. From there, the meal got more intense. 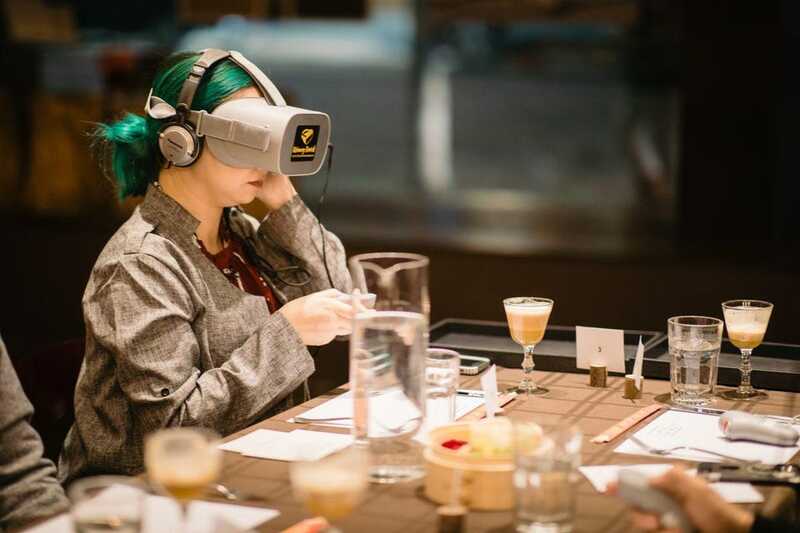 Every course was accompanied by a menu card with a lyrical description of the dish and a short poem questioning things like the stereotypes Asian Americans encounter in their daily lives, but every few courses we were asked to pick up a VR headset and immerse ourselves in a virtual world. The VR experiences were short animations combined with Dorsey’s voiceover, and each was thought-provoking and metaphorically linked to the course in front of us. This, as mentioned before, sparked intense conversation. Every table was full of animated folks talking about what they were eating and hearing, excited and intellectually stimulated by the things they were tasting—all of which were fabulous bites on their own, but when combined with these questions and writings, they became more than that. No one seems to have a truly good description of what counts as art, but more than anything, art should engage our minds, our imaginations. Technology has a tendency to isolate us, to keep us from having human interactions and to make us more easily distracted, but I can honestly say that during this meal, nobody was paying attention to their phone unless they were taking an obligatory Instagram photo. Nobody knows what technology will bring us in the future, but this kind of connection, this kind of human experience is definitely what I’m looking for.